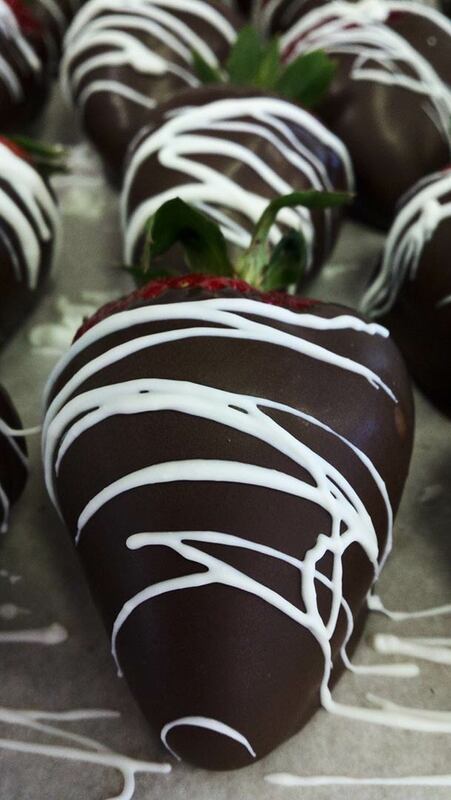 MADE FRESH DAILY WITH THE FINEST BELGIAN DARK & WHITE CHOCOLATE. 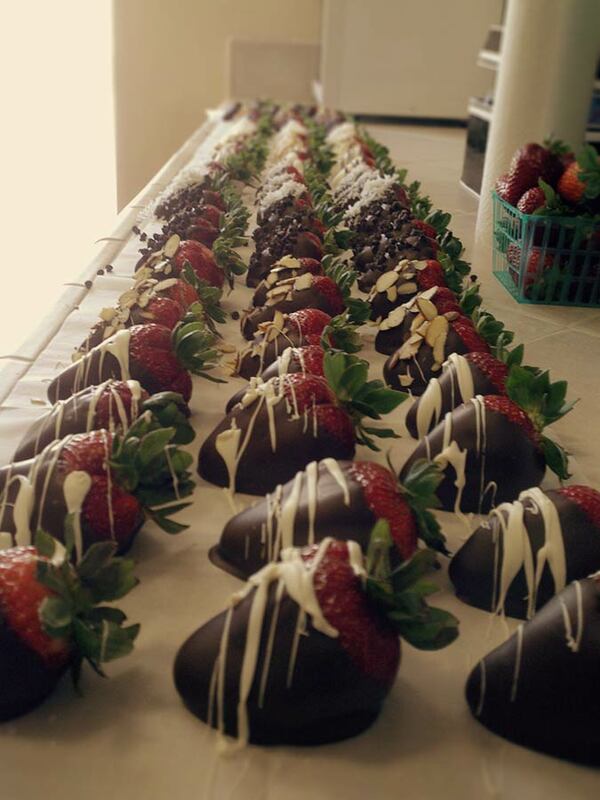 CHOCOLATE DIPPED BERRIES ARE WHAT WE DO BEST. 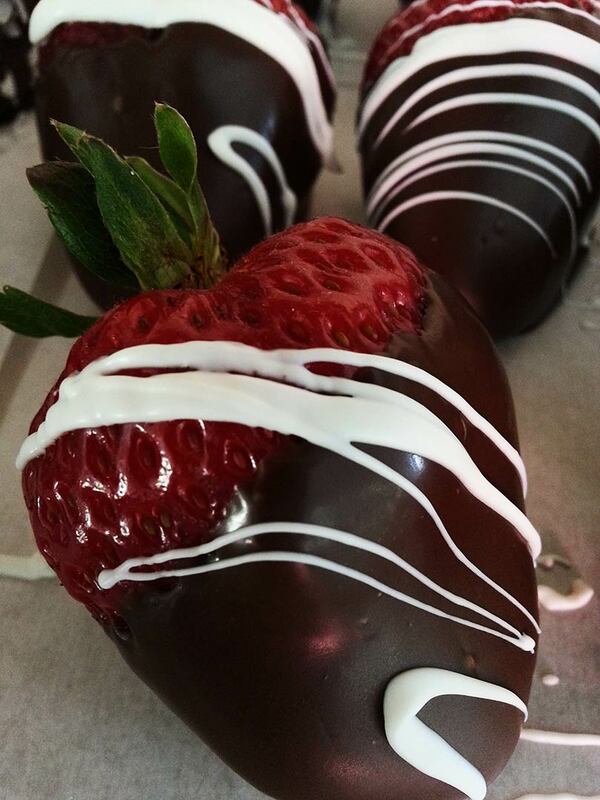 Our Chocolate-Dipped Strawberries make great gifts for all ocassions. 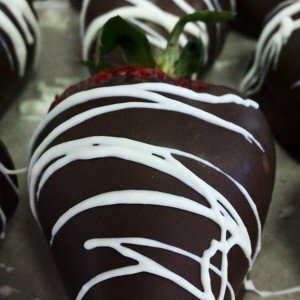 We use locally grown strawberries picked the very same day, making them truly special and unique. 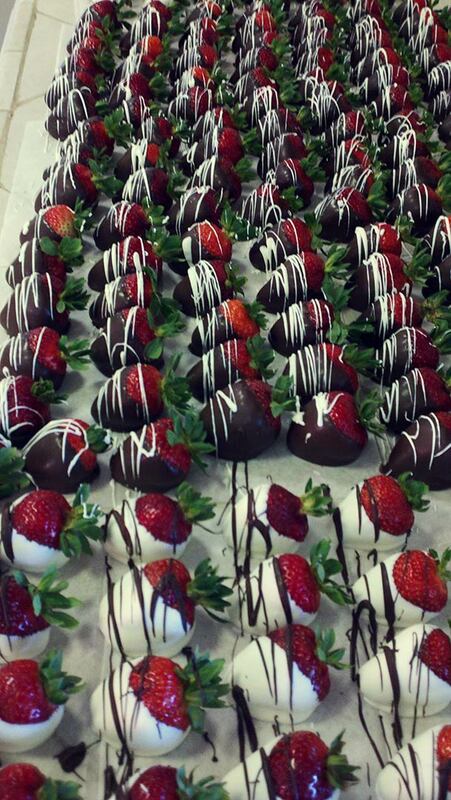 We hand select and dip our berries in the finest Belgian dark chocolate available every single day, so they are always prepared as fresh as possible. 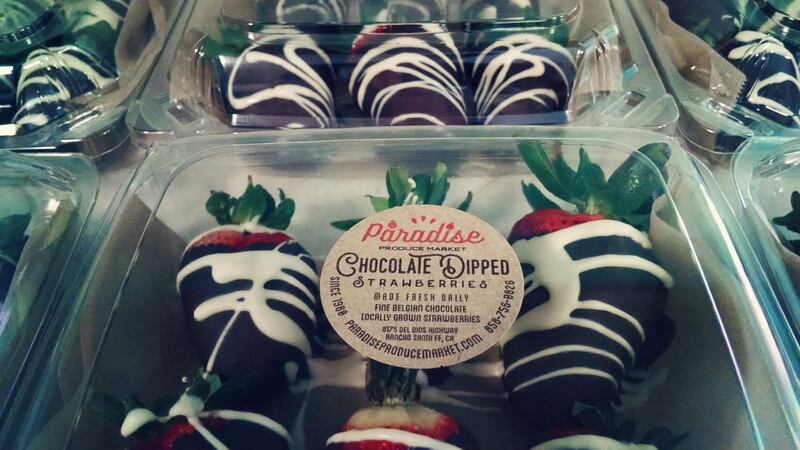 Once you try them, you will see why our Chocolate Dipped berries are simply the best. 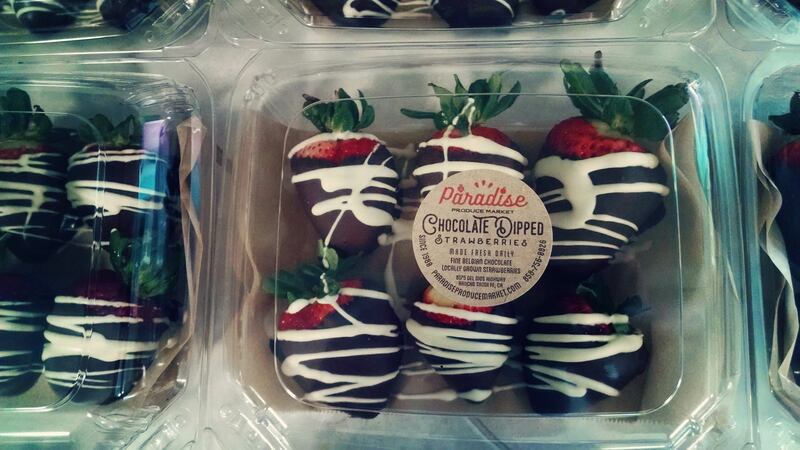 Paradise Produce Market is famous and well-known in Southern California for our chocolate-covered strawberries. 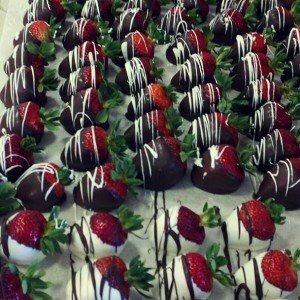 Since the 1980’s, customers have enjoyed freshly dipped strawberries from local growers that were fresh-picked from the field that very day. 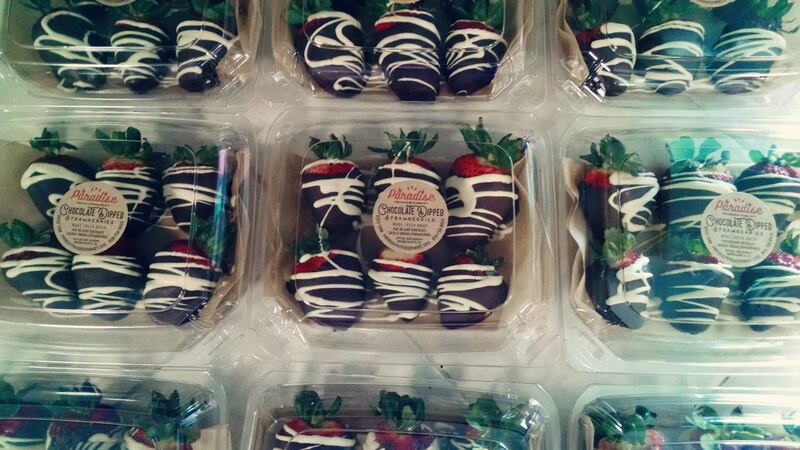 Our strawberries are sweet, red and delicious. 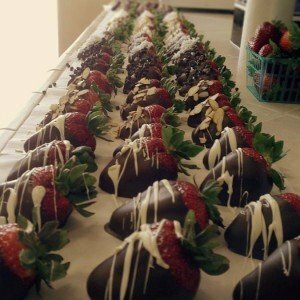 Their low glycemic count make them a perfect desert for anyone. The dark chocolate is made from 54% cocoa – made with less sugar than other chocolates. 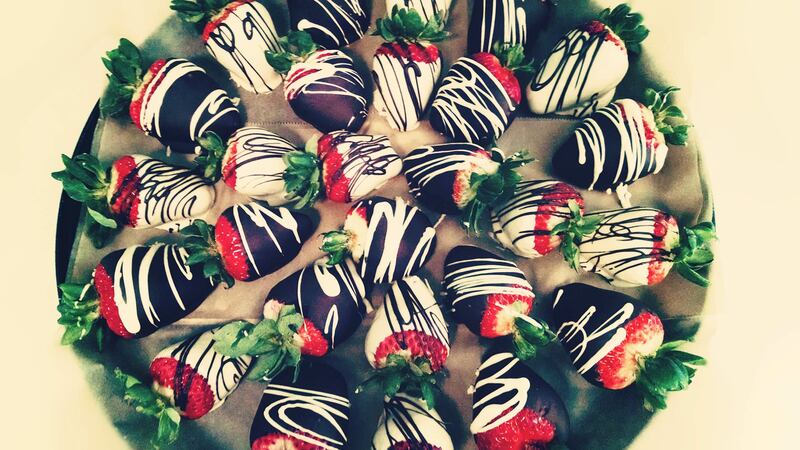 These mouthwatering delights are a healthy alternative to heavier, sugary deserts. 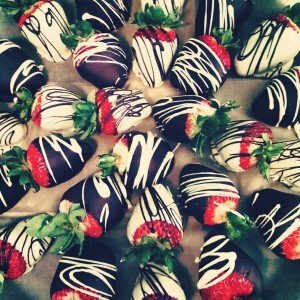 EXCELLENT FOR PARTIES, HOLIDAYS, AND ALL OCCASIONS. 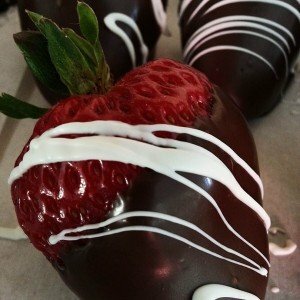 Chocolate covered strawberries are an excellent choice to bring as a housewarming gift, or to surprise a loved one. 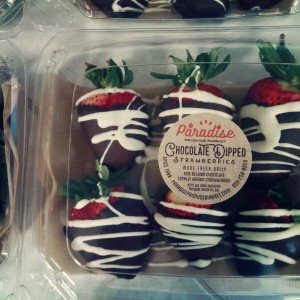 Often associated for their romantic appeal, Paradise Produce Market sells beautifully displayed and hand-dipped that day. 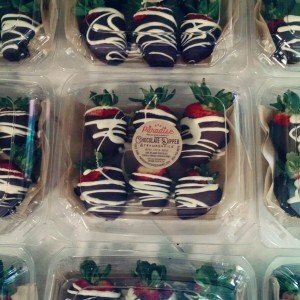 Chocolate Strawberries are available in boxes of 6, or larger quantities on trays with ribbon. 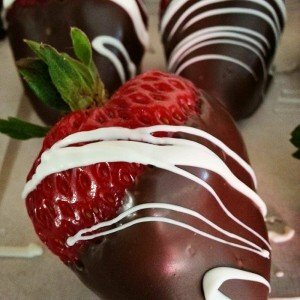 Varieties include Dark Chocolate with White swirls, and White Chocolate with Dark Chocolate swirls. 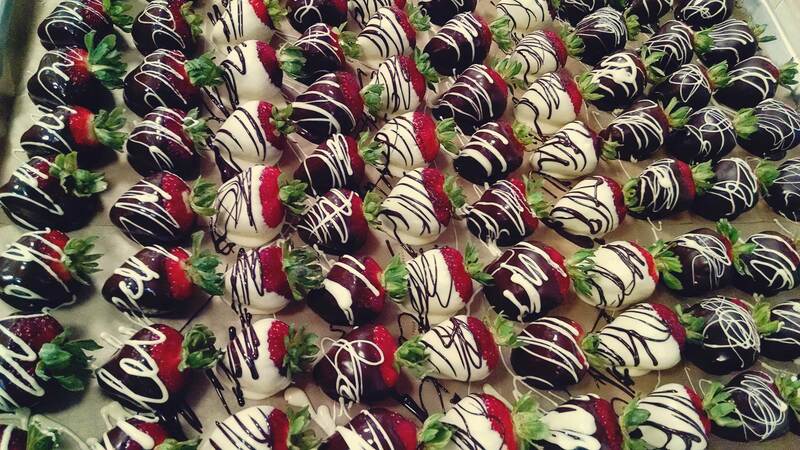 We also can cater chocolate dipped strawberry trays for your next event, in quantities from 30 to 500. 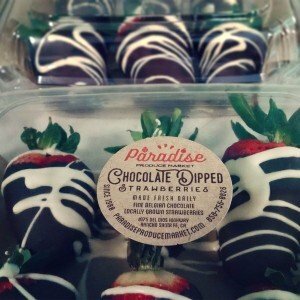 Paradise Produce Market has provided residents and businesses in Southern California (Rancho Santa Fe, Del Mar, Solana Beach, La Jolla, Carlsbad and surrounding areas) with suburb quality and service. Please order at least one day in advance for large quantities. 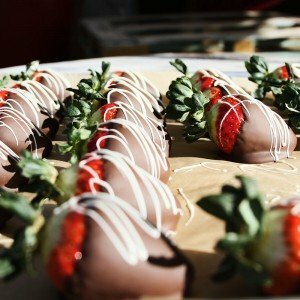 THE HEALTH BENEFITS OF CHOCOLATE COVERED STRAWBERRIES. 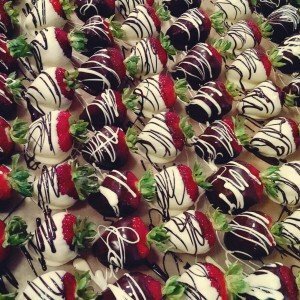 Vitamin C Strawberries are rich in vitamin C. Vitamin helps improve your immune system, and lowers your risk of cardiovascular disease. 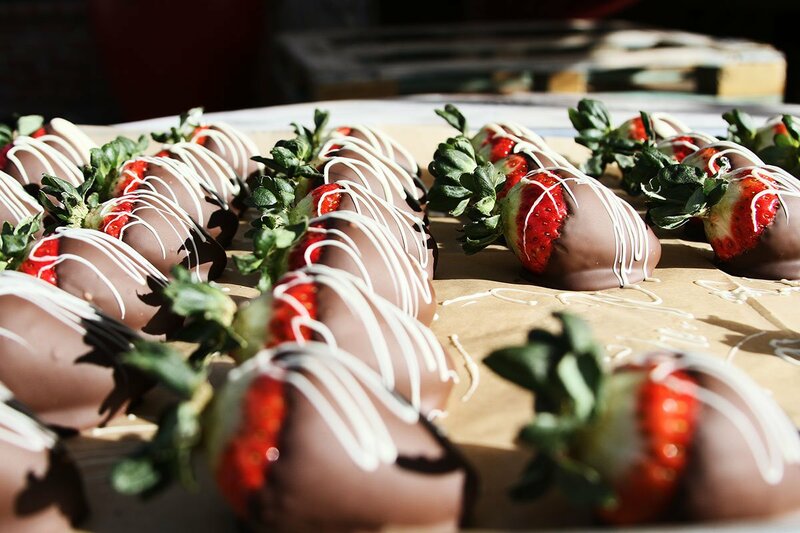 Manganese Chocolate covered strawberries are rich in manganese, an important mineral we need that helps our body metabolize carbs and proteins, which boosts your energy and mood levels. Flavonoids Dark chocolate is full of flavonoids, which act like antioxidants. These antioxidants help protect cells from damaging molecules and free radicals.